A 32-year-old woman was allegedly killed by her husband following a heated argument at a quarter located in Daba during the wee small hours today. Teachers of government secondary schools are irked by government’s decision to extend summer vacations of primary schools, as they feel that students of primary and secondary schools, too, can suffer heatstroke. Lal Palace, a local cinema hall, turned into a battlefield when more than 12 youths brandishing sharp-edged weapons attacked two brothers while they were coming out of it after watching Punjabi movie “Jatt and Juliet” yesterday. There is a bad news for those planning to open new ultrasound centres, IVF clinics and those having facilities of genetic clinic, genetic lab, genetic centre, MRI and CT scan as the state health department has hiked the registration charges by about eight times. 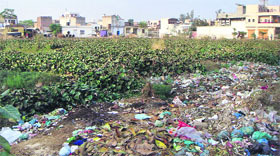 People residing in adjoining localities are fed up with the tardy pace of Ganda Nullah-covering project. They suspect that the incomplete nullah might overflow whenever it rains and the entire area might be flooded in knee deep drain water, which could bring miseries for them. 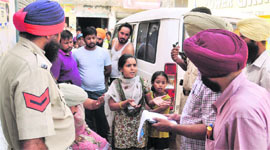 Though the city police is patting its back after arresting five persons, who were involved creating a fake cheque for Rs 5.95 crore and withdrawing nearly Rs 80 lakh from the account, Harbhajan Singh Sandhu, owner of Royal Industries and the main accused in the case, is still evading arrest. 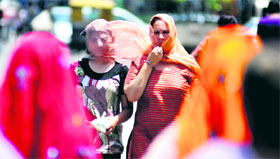 These days due to scorching heat, one hardly heaves a sigh of relief. But one can imagine the fate of all those 35 employees who were attending a meeting in a big office under the wings of one old fashioned fan. As the meeting was over, I called up one of the officers of the department. The election for the president of Nagar Council, Machhiwara, was again postponed as the situation became tense and returning officer SDM Khanna PS Sodhi postponed the election due to law and order. Residents of Jugiana village, presently ward number 75, seem to have bestowed their last hopes on the newly elected councilor of their ward for the purpose of providing assured sanitation facilities to them. 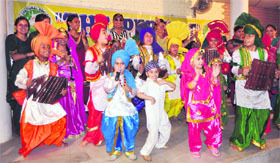 The Central Board of Education has decided to facilitate the students who got the top ranks in class XII examinations conducted by the academic session ending April 2012. According to a circular of the CBSE, Ministry of Science and Technology, Government of India would provide the scholarship to students for further study. 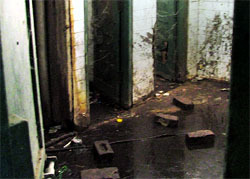 Entrance to the main ward of the Civil Hospital is a walk through unclean floor. There is a section that stinks, though a change for the better has been observed after installation of new multi-coloured dustbins in the Civil Hospital, as now medical waste cannot be seen dumped in the open. The pathetic condition of a urinal. More than 7,500 teachers in the state feel slighted as they are drawing minimal salaries as compared to permanent teachers working on equivalent posts. These teachers, working on a contractual basis, and appointed through an advertisement given by the Punjab government in 2009, are being paid five times less than the regular teachers working in the education department. Parents and relatives of the newborn premature girl child staged a dharna outside a private nursing home in division no 3 area after her condition worsened today. The long-pending demand of Jagraon residents regarding having a fire brigade station in the town is finally going to be fulfilled, it seems. Enter some of the new spaces, including restaurants in the city, and you would be surrounded by words and letters of these alphabets, used not for conveying any intended message. There has been no rain for the past 10 days in the city but residents of Kucha Number 7 in Field Ganj have been facing water-logging problems like those during the rainy days. People have been living in pathetic condition due to the blockage of sewerage system. In the rat race of earning more and gaining popularity, a majority of people prefer to live in urban areas by leaving behind their villages miles away. But here is a city-based eye surgeon, Dr Rajinder Singh, who dedicated his life to serve needy people of the rural areas, not as a part of his profession, but as charity. IMA, Ludhiana, celebrated Doctor's Day at the IMA House with a yoga and nutrition camp here today. Student of GNN College, Doraha, Kuldeep Kaur stood first in the college by securing 71.38 per cent marks in BCA-I, while Navpreet Kaur and Sukhpreet Kaur stood second and third securing 67.25 per cent and 66.88 per cent marks respectively. An alleged case of marriage of convenience and using fraudulent means, including producing a fake matriculation certificate to acquire passport from the regional passport office, Jalandhar, to enter Canada and getting permanent residency in North-East Calgary, has been reported to the Phillaur police. The Proclaimed Offender Wing of Jagraon police has managed to arrest a proclaimed offender who was wanted for manufacturing and selling illegal liquor. The accused has been identified as Charanjit Singh alias Channi of Kul Gehna village near Sidhwan Bet. Host Ludhiana seized initiative as their bowlers succeeded in restricting Patiala to 250 runs with just two wickets in hand in the first innings on the second day of the four-day match of the Punjab State Inter District Cricket Tournament (U-22). The tournament is being organised by the Punjab Cricket Association at the Punjab Agricultural University campus ground here.